11. Put on the whole armour of God that ye may be able to stand against the wiles of the devil. 12. For we wrestle not against flesh and blood; but against principalities, against powers, against the rulers of the darkness of this world, against spiritual wickedness in high places. Do you know why many Christians are not strong in the Lord? Have you ever wondered why many are not mighty in God as they ought to be? The reasons are in verses 11 and 12. I am sure you have seen Christians who are weak. I am sure you have seen businesses that are not making it. I am sure you have seen ministries that are decreasing in power and population. No doubt you have seen marriages where love is at its lowest level. Why are these things so? The reasons can be found in verses 11and 12 of the aforementioned passage. There are powers, there are forces, there are principalities, and there are rulers of the darkness of this world that are determined to stand in your way. These forces are determined that you will not be strong in any area of your life and whatever it will take to prevent you, they will undertake it. If you really want to be strong in the Lord, you have to concentrate on frustrating every demonic effort that is out to weaken you. How do you accomplish that? By understanding and working against the enemy's method of operation. The majority of the evil put together by the enemy against a man is done in the night between the hours of 12 and 3 a.m. That is when the enemy's attacks usually come. I do not know why they choose these hours but I have found this out to be the truth. Therefore, if your desire is to frustrate the evil efforts of the enemies against you, if your desire is to be strong in your walk with the Lord and in every other area of your life, you need to be up when your enemies are up. You need to be awake when they are awake; you need to be at work when they are at work. You have to learn the secret of putting your spiritual ammunition into operation when the enemy is firing at you. In other words, if you will understand night time warfare, if you will learn the secret of getting up in the midnight hours for spiritual warfare, you will be as strong as strong can be. I am a living witness to this. 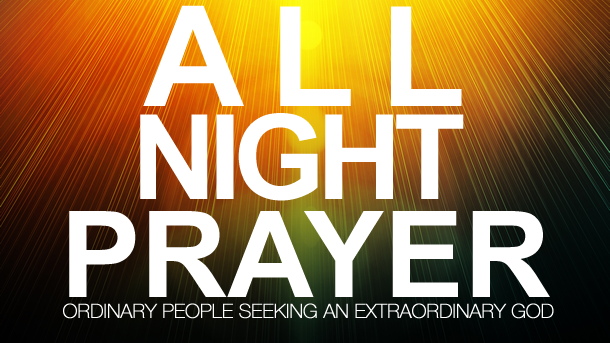 I know what it means to be up at 12 midnight and pray until I am tired. Each time I carry out this exercise, I wake up in the morning and feel spiritually taller, bigger and stronger. Why? I was up when the enemies were up. I had my spiritual guns at work when the enemies were shooting their arrows. It was fire for fire and the Lord's fire always prevails. In physical warfare, do you realize that many of the surprise attacks are carried out at night? Take Colonel Ghadafi for an example, he was a terror to the West in the 1980s. The President of the United States at that time was Ronald Regan. Do you know it was President Ronald Regan that silenced Colonel Ghadafi? How do you think he did it? He gathered his men together and said "we've got to go and silence this man"; he did not pick the morning hours, he did not pick the afternoon hours, he picked the middle of the night. He asked a particular country for permission to use its airfields to land and refuel and that country refused. So he decided to make use of his air-tankers for refueling mid air. America started dropping the bombs in the middle of the night while Colonel Ghadafi and his men were sleeping. It was a surprise attack and that was how America were able to silence him. Many times the enemy sends surprise attacks against God's people and you hear statements like, "Oh! I did not see it coming!" How can you see it coming when you were sleeping? How can you see it coming when the time it came you were unconscious? The best time to fight physical and spiritual war is at night. The enemy understands that and the earlier we understand that too the better for us. Another example is Saddam Hussein. When George Bush and the Allied Forces launched an attack against him, the first bombs were dropped at night. That is the best time to do the most damage to the enemy. There is no short cut to being strong in the Lord. The generation of Christians we are raising today are people who are so powerless, they are people who have no spiritual backbone; the reason is because we are unwilling to pay the price. 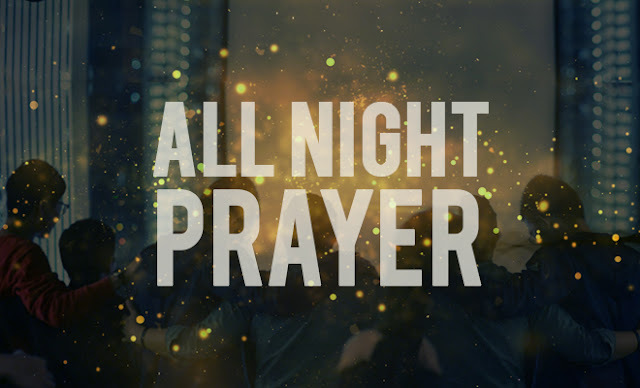 One of the prices is getting up at 12 midnight, 1.a.m, or 2.a.m, and walking up and down in the room, praying fervently and taking authority over every power of the enemy working against your life. Your flesh will rise up in protest. Just thirty minutes into your prayer, at 12:30 am your flesh will protest urging you to go and sleep. Say to your flesh, "My flesh, you have to be subject to my spirit, those who are fighting me are not sleeping, why should I go to sleep." Then you continue praying and get ready to silence every protest of the flesh. Cry mightily unto God, praying prayers like "Every power working against me right now, I pull you down in Jesus name!" "Lord, any meeting that is being held anywhere at this time in which my name is being mentioned, I command it to be dispersed!" Before you realize it, the time is already 2 o'clock in the morning. That is the secret of spiritual strength, that is the secret of marital strength, that is the secret of ministerial strength, in short, that is the secret of all strength. Arise my brother and my sister, you cannot afford to sleep when your enemies are awake. If you do, you may wake up to find your strength depleted in one area or another. Rise up at midnight and cry mightily to the Lord about your daytime affairs, you will wake up and find out that you are stronger in your marriage, business, finances, etc. The other Christian who prays less or prays only during the day will look at you and wonder what the secret of your strength is. He does not know that while he were sleeping, you were praying and that is what makes the difference. It is a price many saints are unwilling to pay; yet it is a price we must pay if we are going to be consistently victorious. I have looked through the Scriptures and what I find out is that the most serious battles that were ever fought in the Old Testament were fought in the night. Many times, the preparations for the battles were also done in the night. They sneak in and out in the middle of the night. Why? That is the best time to get the enemy and that is the best time the enemy gets his prey. Joram did not go over to Zair in the morning, afternoon or evening. He went in the middle of the night and defeated the enemy. He was able to succeed because they were sleeping. What type of strategy did they use to go after the Philistines? It was the same principle - in the middle of night. It was not in the morning, afternoon or evening, but it was in the middle of the night. I plead with you child of God. There is war going on around you. You need to get off your comfortable bed, get on your knees and set some nights apart every week to take the first strike and do damage to the enemy's camp. If you don't, damage will be done to your camp. There are times when God wakes you up in the night to pray, don't turn him off; danger must be looming against your interests that he is why he often wakes you up to pray. Meetings are probably going on right at that time and attacks are being deployed against your destiny. Learn the discipline of self-denial. Everybody likes to sleep at night; no one likes to be awake when they ought to be asleep. After all, we have been busy all day and the night is the best time to rest, but as it were, Saul said, if we are going to win we have got to go in the night. Therefore, they went in the night to spoil the Philistines until the morning light. This is exactly how spiritual warfare operates in the night. This is the secret of warfare; this is how to weaken the enemy and this is what the devil uses over and over again against us. The enemy comes to steal, kill and destroy. When? In the middle of the night. In other words, each time night comes; warfare starts in the realm of the spirit. Many people know the things they used to have that the enemy has destroyed. Good health, a prosperous business, a blissful marriage, a happy home, academic success, etc. All these things you used to enjoy but the enemy destroyed them. God has given you a palace, but the enemy does not want you to live in it. He comes by night to destroy it. The Lord will restore your palace back to you in Jesus name! God used this same strategy by launching a surprise attack at night. There is always a "that night" that the enemy chooses, but in this case it was God. That night the Lord sent out an angel to go and kill 185,000 people, He did not do it in the day, but He chose the night to do it. You know what? The devil is a copycat. The angel sent by God was a good angel, but the devil also sends out his angels every night to steal, kill and destroy. Another parable put he forth unto them, saying, The kingdom of heaven is likened unto a man which sowed good seed in his field: But while men slept, his enemy came and sowed tares among the wheat, and went his way. Jesus said the enemy came to sow the wrong seed while men were sleeping. This emphasizes the point that the mysteries that come against you during the day are hatched in the night. The day only wakes to manifest what has been done in the night. There was a friend of mine with whom I grew up as a Christian. He narrated to me an experience he had years ago. He had a dream in which an old woman wanted to force him to eat a black substance. He refused and a struggle ensued. At last he was able to overcome; he hit the woman's hand and the black substance spilled on the bed, then he woke up. To his surprise, he found the black substance on his bed; this indicates that it was not an ordinary dream. The demonic forces that work against your life during the day are only messengers that get their marching orders during the night. Let me give you a simple illustration of what I mean. Somebody is angry with you and he looks at you and says; "you will see" or he says it in another way - "l will show you" and he means to carry out the threat. When he says, "you will see," nothing happens immediately; this is because it is just a threat at that point in time. But what he does to bring his word to pass is to take your case to a witch doctor saying to the witch doctor, "this person offended me and I told him that I will deal ruthlessly with him. I want you to help me put a curse on him and cause a specific evil to befall him." The witch doctor then takes it up from there; he opens a file for you, puts your name on the file and keeps it in the outgoing basket. At 12 o'clock in the night, he gets up, pulls out the files and leaves for their evil meeting. He brings up your case in the meeting and they all work together in agreement to bring to manifestation the evil that your enemy desires. 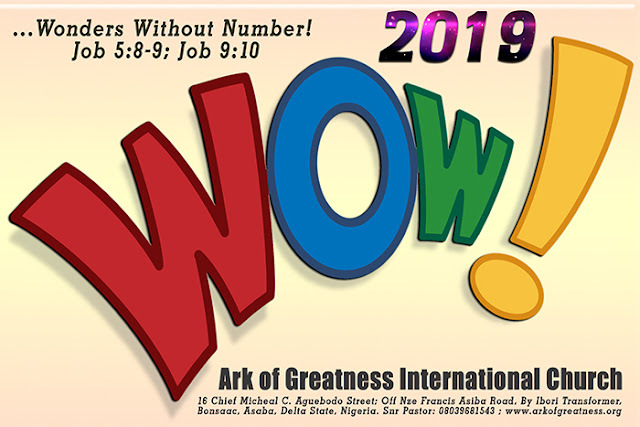 What happens next is this; as they commence their manipulations against you, you will begin to have strange dreams, you may see animals like cows, lions and dogs or even masquerades and mad men chasing you. You may see a big mountain before you, which you are trying to climb but you find it difficult to climb. This signifies a difficulty they want to put into your life. While all that is going on, God will be tipping you off. He will be telling you to rise up and begin to pray. He knows what is going on and He wants you neutralize through nighttime warfare. If you fail to pray, the enemies will not be restricted in the evil plan they want to hatch. If unfortunately they meet with an open door in your life the problem begins from that day on. Have you noticed that God wakes you up sometimes in the night to pray? It may be because your file is the next to be considered by the powers that are out to steal from you. The Holy Spirit wakes you up to pray and when he knows you have won the battle, he will tell you to go back and sleep. Your enemy looks at you the following morning wondering why you are so invincible.